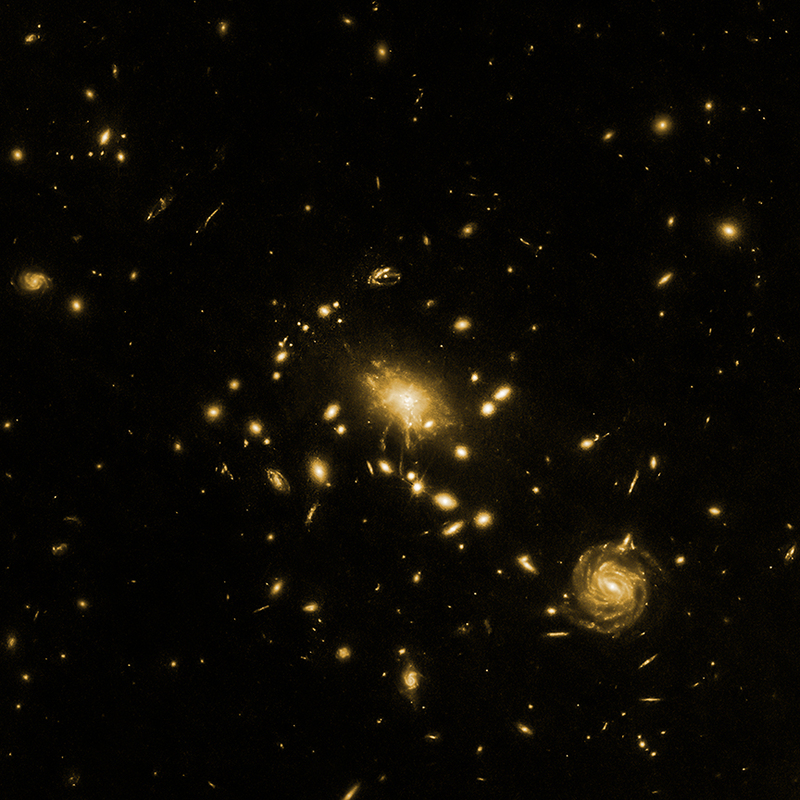 Chandra X-ray and HST optical images of the galaxy cluster RX J1532.9+3021, located about 3.9 billion light years from Earth. 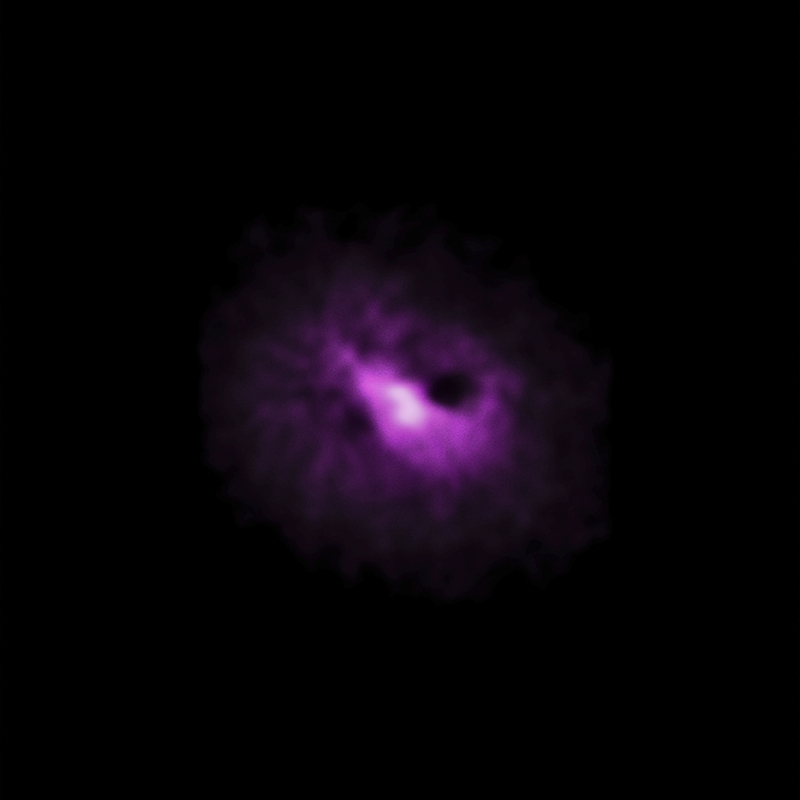 A labeled version of the combined X-ray/optical image is also given. The labels show the location of two enormous X-ray cavities, created by jets from a central supermassive black hole that have pushed aside hot gas.